​It's no wonder that people who live near large bodies of water are generally healthier and more active than landlubbers. Water cleans the air and fills it with negative ions to naturally lift your spirits. Swimming and water sports and recreation are simultaneously exciting and relaxing. In this article, we will discuss some of the more popular forms of water sports and recreation. Read on to learn more. It goes without saying that people tend to stay true to their fitness goals when they enjoy their fitness programs, so adding a challenging and exciting water sport to your routine could mean all the difference between a successful and vibrant program and one that just fizzles out. ​When you participate in water sports, you can usually also enjoy the great outdoors. Spending time in nature is a great way to manage stress and calm your mind and body. ​Water adds buoyancy, so you don't become as tired playing and exercising in water as on land. ​Most water sports help build qualities such as stamina, stability and good balance. ​Water sports and exercise provide low impact resistance benefits. ​There are levels of water sports and recreation activities to suit people of all interests and abilities. You can enjoy water based recreational activities at any time of year in most locations around the world. Here are 8 of the most popular water recreation pursuits. ​Swimming is hard to beat as a near-perfect recreational and fitness activity. Whether you swim in a pool, pond, lake or ocean, swimming is an activity that can be enjoyed by people of all ages and levels of fitness. It's an excellent way to gain or maintain good health, and it's also a very fine way to socialize and make friends. For lifetime health and happiness, this low-impact form of exercise delivers a wealth of benefits. ​SCUBA diving is a very enjoyable water sport for people who long to explore the undersea world. This water activity can be enjoyed by people of all ages and does not require a high level of fitness to get started, but it can be rather challenging and there is naturally some risk involved. You should approach the activity mindfully. In order to participate, you must learn proper procedures and protocols. You must be aware of the potential dangers of exposing your body to intense underwater pressure while breathing a concentrated mix of oxygen and nitrogen. Rising to the surface too rapidly can result in a dangerous condition known as "the bends". When underwater, you must stay with your "buddy" or your group and pay attention to the leader of the group. It is possible to get lost or become trapped in underwater caves, wrecks and other structures. You must be respectful of the environment. It is easy to damage delicate underwater structures, such as coral reefs, and cause lasting damage to undersea wildlife habitat. SCUBA diving gives you the opportunity to see an entirely unfamiliar world. Those who love the sport say that the sense of weightlessness and the absolute quiet bring about a feeling of deep peace. Diving is a great way to relieve stress and gain a new and humble perspective. Those who love exploring nature above water, fall in love with the experience of seeing new creatures and seascapes and visiting some of the most beautiful places in the world. ​Kayaking is a good way to explore rivers, spend time in nature, relieve stress and get fit. When you paddle, you are working all of your upper body muscles and quite a few of those in your lower body. This is a sport that's quick and easy to learn so that you can get started at a basic level right away. Even so, there are "tricks of the trade" that will keep you challenged as you perfect your kayaking skills. 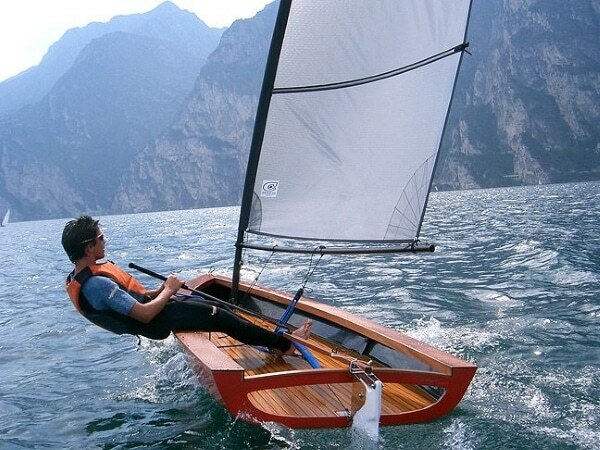 ​Dinghy sailing is a great way to socialize and exercise at the same time. While sailing is not quite as physically challenging as kayaking, it definitely has fitness benefits. Sailing helps improve hand-eye coordination, concentration and balance. It also provides some benefit for arms, legs and core muscles. When you spend a day on the water, you breathe in health-giving negative ions that help your body take in more oxygen. This is why sea air has such a universal reputation for helping people rest, relax, rejuvenate and enjoy great sleep. ​Surfing is a water sport that is hundreds of years old. It originated in Hawaii's Polynesian islands long before western peoples knew a thing about it. Although westerners first encountered surfing in the late 18th century, it didn't become popular in the western world until the mid-twentieth century. Once it became popular on the California beaches in the USA, it didn't take long for surfing to spread to beaches around the world. It's important to understand that surfing requires a certain level of fitness to start, but you are sure to build your fitness level as your skills improve. In terms of balance, coordination, reflex and reaction time and sheer excitement, it's hard to beat surfing. Surfers tend to be a sociable bunch with lots of clubs, activities, contests and events built around the sport. With a wetsuit and a light, modern, fiberglass board, you can enjoy surfing any time of the year at surfing destinations around the world. ​Kitesurfing is a variation on windsurfing using a big kite to pull yourself along. This allows you to do some amazing in-air tricks with hair-raising names such as slim chance, boneless and heart attack. Clearly, kite surfing is the most exciting of the surfing activities. All of them are great for fitness as long as you don't break anything! ​Stand-up paddle boarding is a challenging water sport that requires pretty good fitness to start and can really help you attain an impressive fitness level. To participate in this sport, you must simultaneously engage your core muscles, hips and shoulders. You use the hip flexor muscles, your core and your shoulders and triceps to transfer the resistance you encounter from the water through your whole body. This is a good water sport for people who don't live near the ocean. It doesn't require waves, and you can participate any time of year. You just need a wetsuit for cold weather paddle boarding. ​Must Water Recreation Always Be So Exciting? Sometimes, just looking, listening and breathing is great water recreation! ​The examples we've discussed here can be pretty challenging, but it doesn't have to be that way. If you aren't up for rowing, surfing, diving or even the breaststroke, try soaking in a hot tub, running through the sprinklers, drifting down a stream in an inner tube or even sitting by a pond pretending to fish. Just being near water is a great way to unwind, recharge and enjoy your time on this little blue planet.